The rock on the right has the words "Royal Soverin" (sic) inscribed on it. This is one of the Three Ships, rocks next to which was erected a monument to Lord Nelson. The two other rocks are inscribed "Victory" and "Defiance". 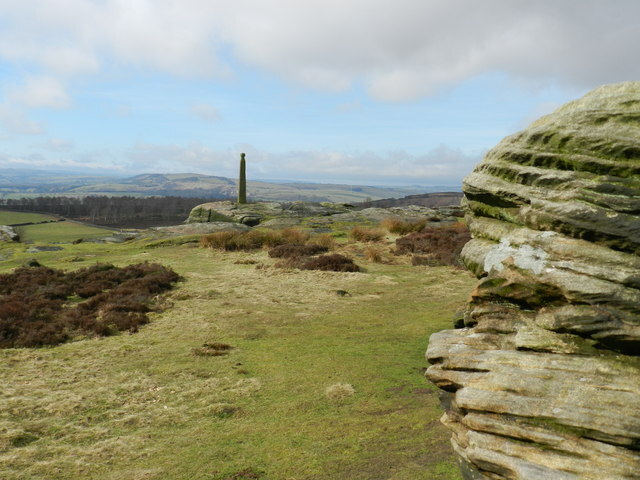 The monument, erected in 1810, was restored by The 1805 Club and the Peak district National Park.